That’s a lotta shine for $2.99! “Shine” was the first word that sprang to mind when I tried the new Jordana Twist & Shine Moisturizing Balm Stains. 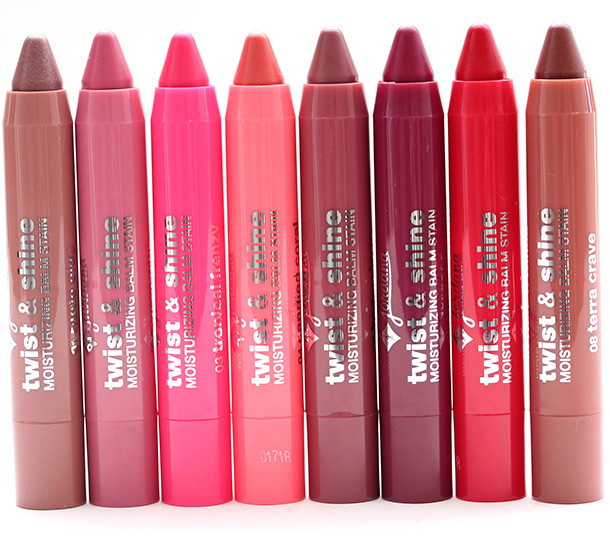 The new line of budget-friendly beauties recently landed on drugstore shelves, and essentially, they look like Tarte LipSurgence Lip Tints, only they cost $3 instead of $24. That’s a BIG difference, yo. They come in eight shades. They last about 2-3 hours. Outfitted with a twist-up, retractable crayon for easy application. The packaging colors correspond to the shades, which makes finding the right color easy in a crowded makeup bag. They have a smooth, lightweight, non-sticky formula. To my nose, they smell like Red Jolly Ranchers (which I love!) — but the scent isn’t obnoxiously strong. I feel like my makeup universe has been out of balance lately — like something’s off kilter, out of whack. I haven’t gotten over the price of Tom’s Eye Defining Pen in Deeper, and I don’t know if I ever will. There has to be a drugstore liquid liner equivalent out there to restore the makeup planetary balance. 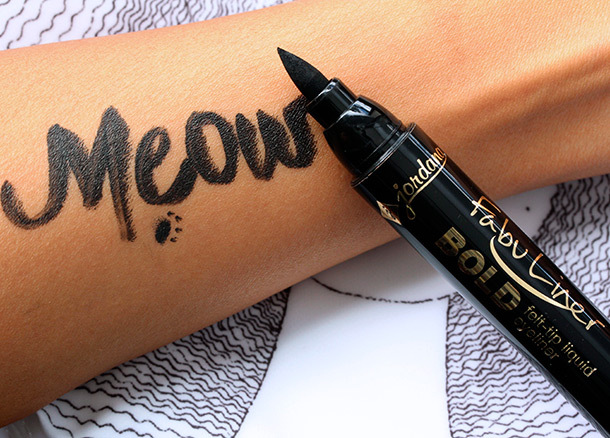 Maybe it’s Jordana’s new $2.99 Fabuliner Bold Felt-Tip Liquid Eyeliner. 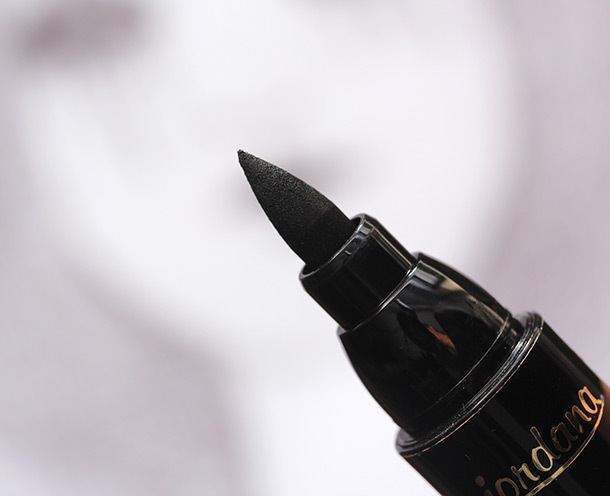 Available now at Walgreens in a single shade called Black, it’s long-wearing, deep and intense, without any red or blue undertones, and it dries to a slightly shiny finish. It also dries fast! I’m talking Roadrunner fast, like the moment it touches my lids, BAM! It’s dry within seconds. 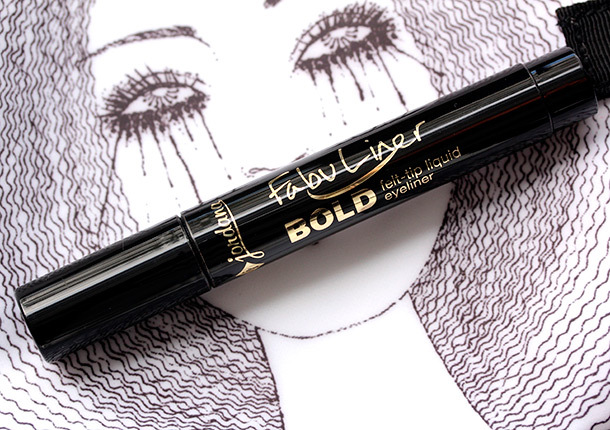 I love that I can plop it on, blink, and not have to worry about it transferring into my crease. It’s instant cat eye gratification, and I don’t even have to wear primer, since it lasts like a mutha’. And then there’s the tip.